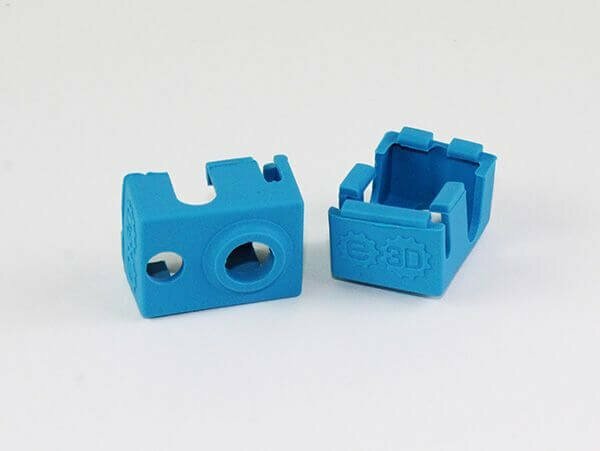 Produktinformationen "V6 Silicone Socks (Pack of 3)"
A pack of 3 new and improved high temperature non-stick silicone socks for E3D HotEnds. Keep your heater block clean and well-insulated with a cosy blue sock, stylishly emblazoned with the E3D logo. Please note that this is the standard E3D silicone sock that ships with all our V6 and Lite6 HotEnds as of May 2017. If you prefer the classic-style sock it is still available! 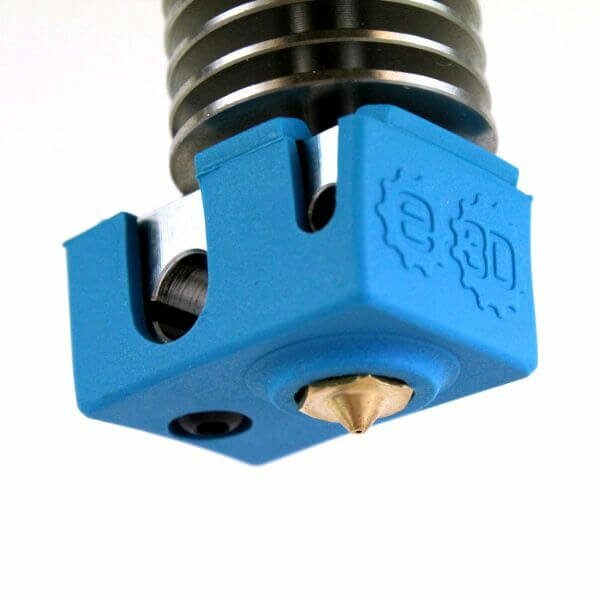 With these little guys we've made some small but significant changes to make 3D printing with E3D HotEnds even easier, cleaner, and faster. They cling tightly to the heater block and last longer than ever before! We believe that this new design will better suit the needs of 99% of our customers, but if you believe that you're in the 1% you can find the old style socks listed on our website as V6 Pro Silicone Socks. Made of a heat-resistant, non-stick silicone material our socks will repel build-up of molten plastic. This really helps with sticky materials like Co-Polyesters and filled materials that like to build up on nozzles. V6 socks come in a pack of 3 because they don’t last forever. Depending on what materials you print and how much abuse they get they eventually wear away at the nozzle tip. Even with sticky abrasive materials and a bit of abuse they should easily last 100+ print hours. With less sticky materials like ABS and gentler use you can get almost infinite life. Your mileage may vary. Compatible only with E3D heater blocks. These little socks will fit your V6, Chimera, Lite6, Titan Aero, Kraken and more! Weiterführende Links zu "V6 Silicone Socks (Pack of 3)"
Kundenbewertungen für "V6 Silicone Socks (Pack of 3)"